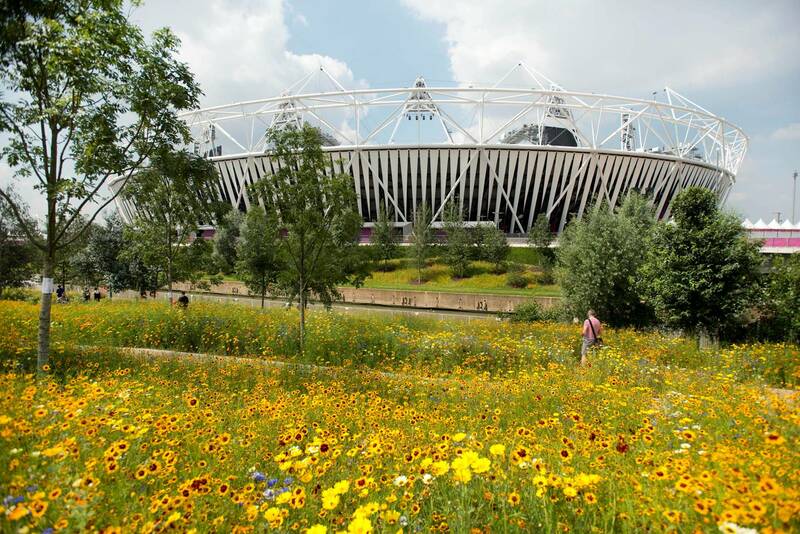 MOLA’s involvement in one of the largest development projects London has ever seen, the Olympic Park, began in 2004. From site feasibility and the Environmental Statement to project design and excavation, our expertise was called upon to achieve planning consent and fulfil planning requirements. We worked with the London Development Agency and the Olympic Delivery Authority to reduce the impact of development on the archaeology and used creative strategies to take archaeology off the critical path. Due to the expansive area to be covered, MOLA undertook trial excavation on over 30 individual sites and geoarchaeological deposit modelling, analysing the logs from over 1,000 boreholes across the site to model past and prehistoric landscapes. This GIS modelling allowed MOLA to negotiate with Historic England (then English Heritage) a targeted mitigation strategy including several large scale excavations, which took place successfully within a very tight ground remediation and construction programme. The excavations were carried out collaboratively between MOLA and archaeological unit Pre-Construct Archaeology. 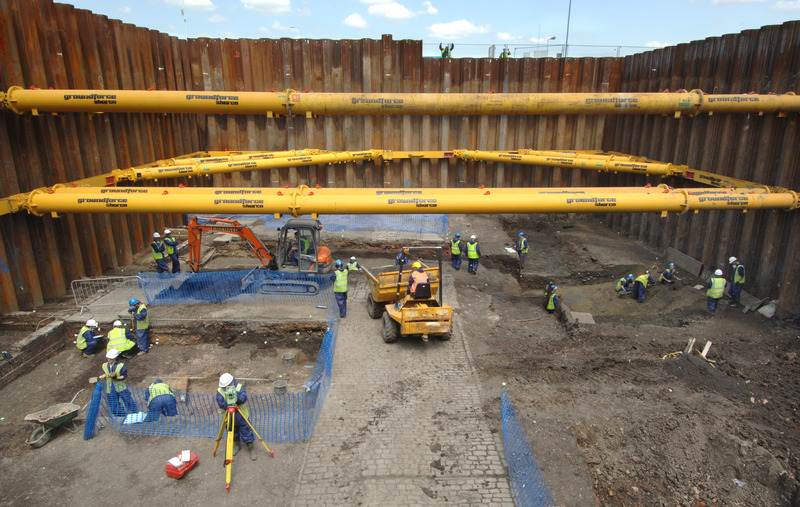 MOLA also undertook 8 larger ‘open-area’ excavations, as a result of successful negotiation with Historic England, the main contractor and relevant stakeholders. These sites were that were of high archaeological interest but off the critical path, served as an ‘offset’, allowing for several sites of lesser significance to proceed more quickly and efficiently without disruption to the construction programme. As well as below ground excavation, over 50 historic structures, ranging from bridges and factories to WW2 defences, were recorded prior to demolition. 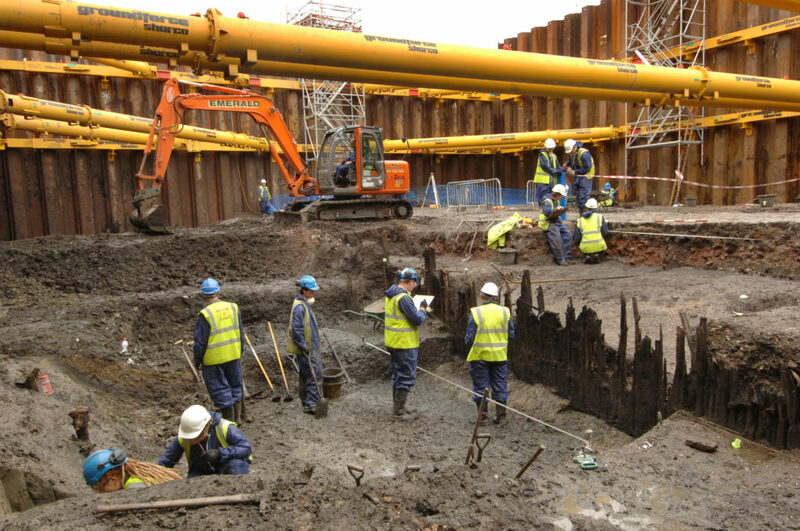 The logistics of accessing the archaeology was a highly complex project and MOLA ensured exemplary health and safety standards and procedures, whilst working in deep trenches and cofferdams and with possible ground contamination. Our activities and findings were incorporated into the Olympic Delivery Authority’s programme of community engagement up to 2012.